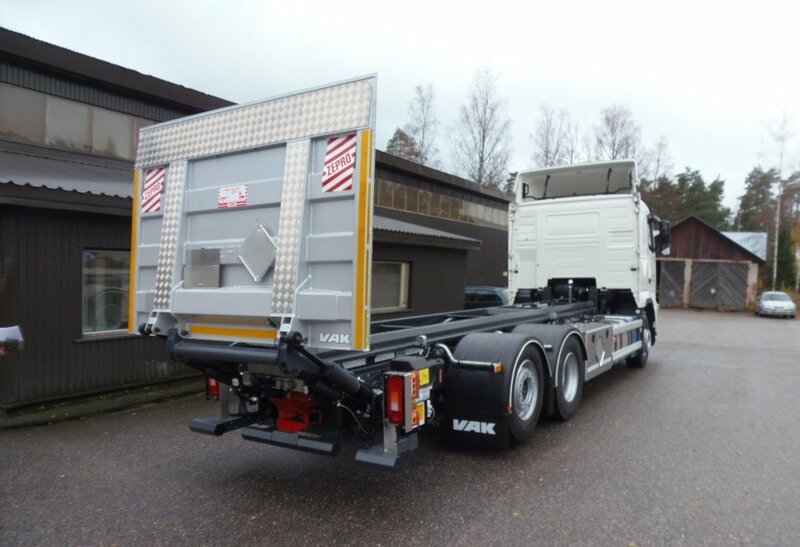 Standard equipment for VAK demountables includes an electrohydraulic machine unit which allows the operation of the equipment without a switch or power take-off (PTO). 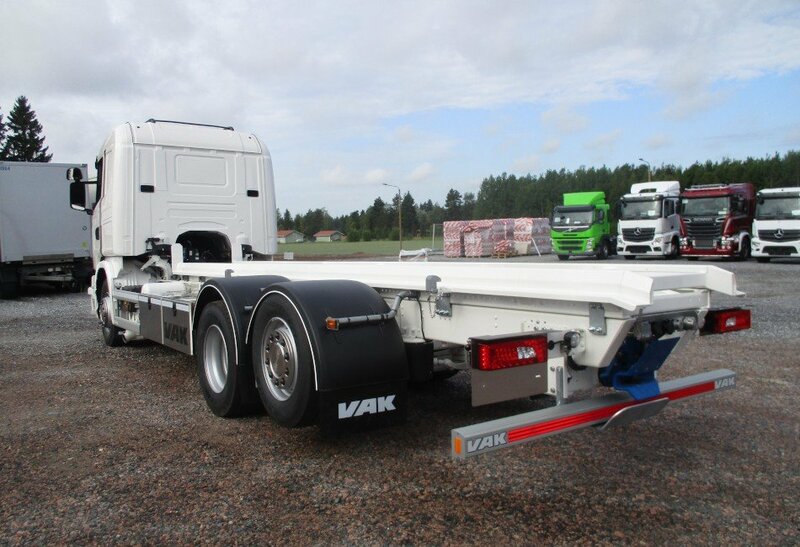 This makes it very easy to use. 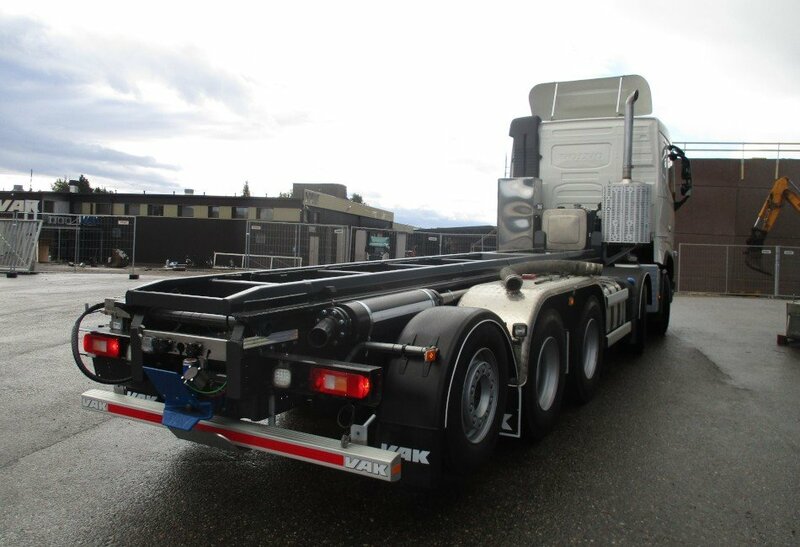 On demand it is also possible to manufacture PTO-driven demountables equipped with hydraulic pumps. 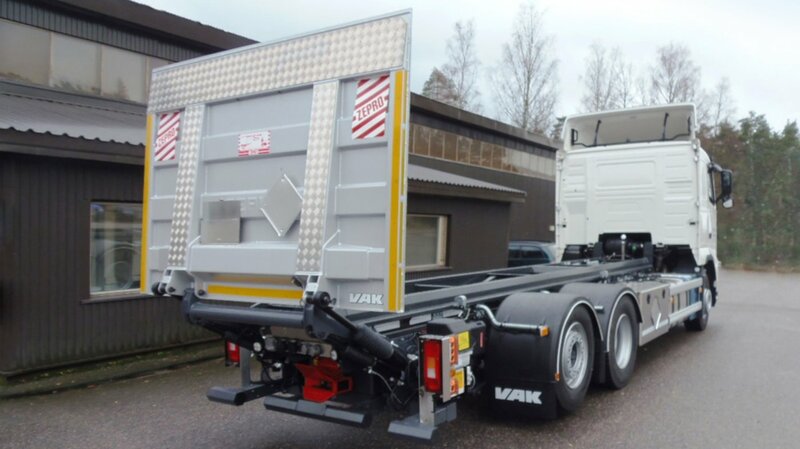 VAK demountables are designed and dimensioned according to each vehicle's specifications and the vehicle body requirements are taken into consideration every step of the way. 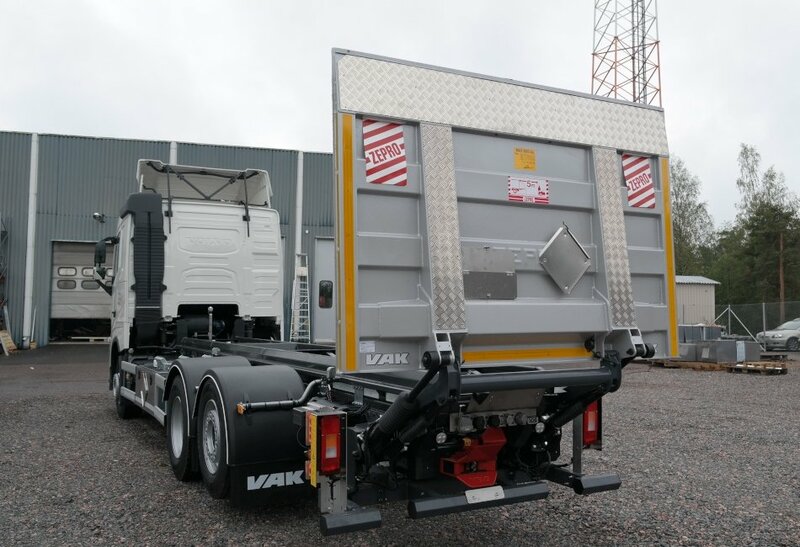 VAK tipper demountables are available for multiple vehicle size classes, most commonly on 4-axle vehicles equipped with compressors and rotary valves.